We are the Rotaract club in the heart of our city. 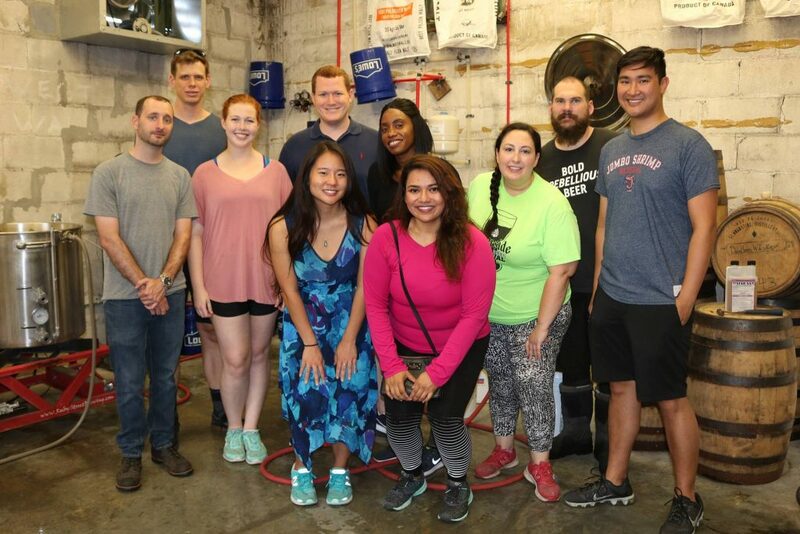 Membership in Downtown Rotaract Jax is a rewarding experience where you’ll grow as a leader and contribute to the betterment of the Jacksonville community. At the same time you will meet and work with many new friends. If you’re a Jacksonville resident between the ages of 22 and 35 interested in joining us, here are the steps to take to become a member. Attend at least one meeting, if not more, to be sure that this is for you, attend one community service event and one social event. Return your application with $100 annual club dues and a $15 application fee at the next Downtown Rotaract Jax meeting, OR email your application to: rotaractjax@gmail.com. You should plan to attend the regularly scheduled Downtown Rotaract Jax meetings every second and fourth Wednesday of each month. We begin promptly at 6 p.m.
We meet at 6 p.m. on the 2nd and 4th Wednesday of each month at the Jessie Ball duPont Center, 40 East Adams Street. Copyright 2019. Downtown Rotaract Jacksonville, Inc. All Rights Reserved.